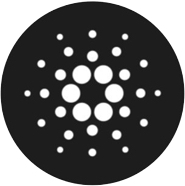 Cardano is a decentralized public blockchain and cryptocurrency project and is fully open source. It is developing a smart contract platform which seeks to deliver more advanced features than any protocol previously developed. The Grand Duchy of Luxembourg is the leading center of private banking in the Euro area and the second most important center worldwide for investment funds. Luxembourg's financial sector attracts private and institutional investors because of its political, economic and social stability, its modern legal and regulatory environment, and its international outlook. Pool.lu is a Proof of Stake (PoS) pool that provides state-of-the-art staking platform with high reliability derived from the best of the financial and tech sector. We are a team of global experts in cryptocurrencies, security, reliability and trust. Byron established the baseline for Cardano in allowing users to trade and transfer Ada. The launch of Cardano marks almost two years of research and over a year of development. IOHK has designed and built a cryptocurrency technology stack of completely new design with 100% new code. The technology is now in the Byron phase, also known as the bootstrap era. Shelley is focused on ensuring that key elements are in place so that the technology grows into a fully decentralized and autonomous system. Throughout Q2 and Q3 of 2018 the features of Shelley will be released, starting with delegation and stake pool testnets. In PoS systems such as Cardano, stakeholders have an obligation to take part in the protocol. To make it practical, stakeholders are able to delegate their obligations to stake pools — which are able to fulfill the obligations. Pool.lu will be one of the pools to facilitate your staking tasks. Next-generation virtual machine called IELE and a universal language framework to be used as core infrastructure for future blockchain technologies. The proposed technology, which is based on formal methods and state-of-the-art programming language theory, will bring much greater security and dependability to blockchain systems and will reduce the risk of vulnerabilities. The features in Basho are focused on performance, security and scalability. It will feature the implementation of Ouroboros Praos and a revised network layer. Voltaire is focused on assurance and scalability and will see the introduction of a treasury model. This will ensure the sustainability and self sufficiency of the blockchain and community. Start learning more about Cardano (ADA) now!